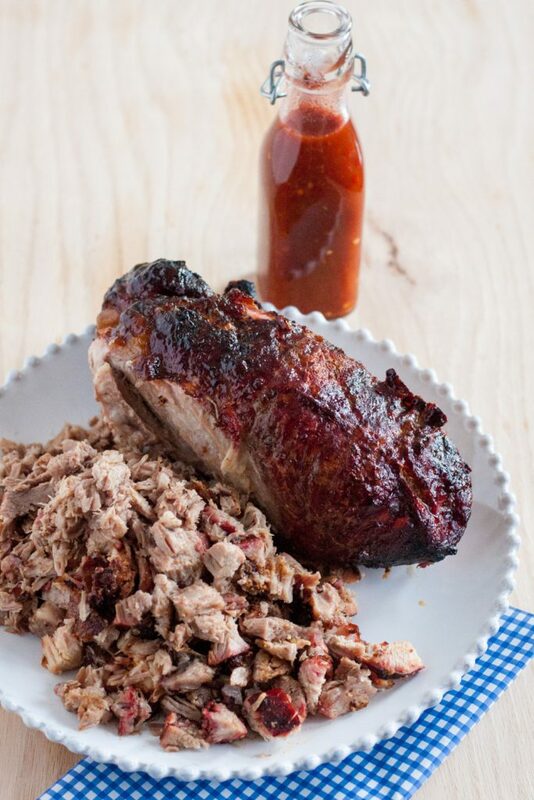 If you can’t make a whole hog, don’t fret! 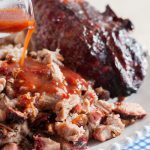 The Godfather’s Eastern North Carolina Style Pork Shoulder recipe and the accompanying slightly spicy vinegar sauce still satisfies your North Carolina barbecue cravings! Carolina Style is distinct from the other styles in that it is divided into three different regions, one of them being entirely owned by the State of South Carolina. The other two regions are entirely dependent on which side of Tobacco Road you’re on. 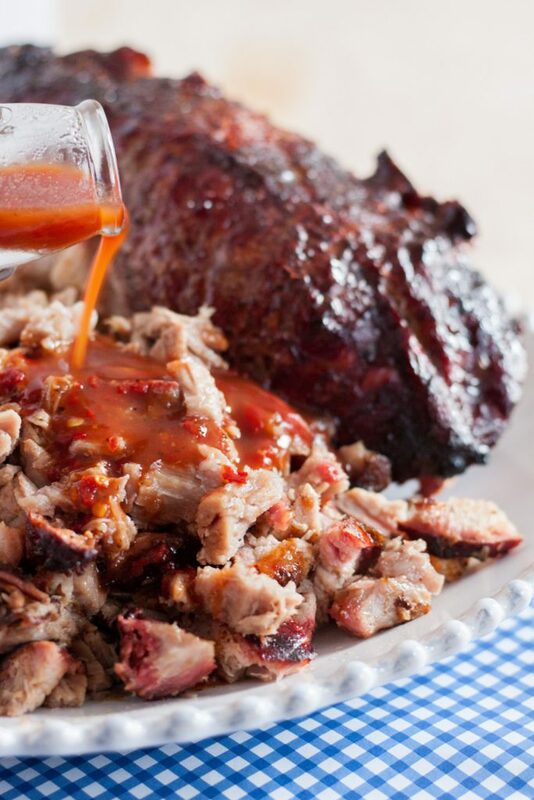 If you’re on the west side of North Carolina, your barbecue will be tomato-based. If you’re on the east side of North Carolina, vinegar plays a starring role, with ketchup playing a supporting role. 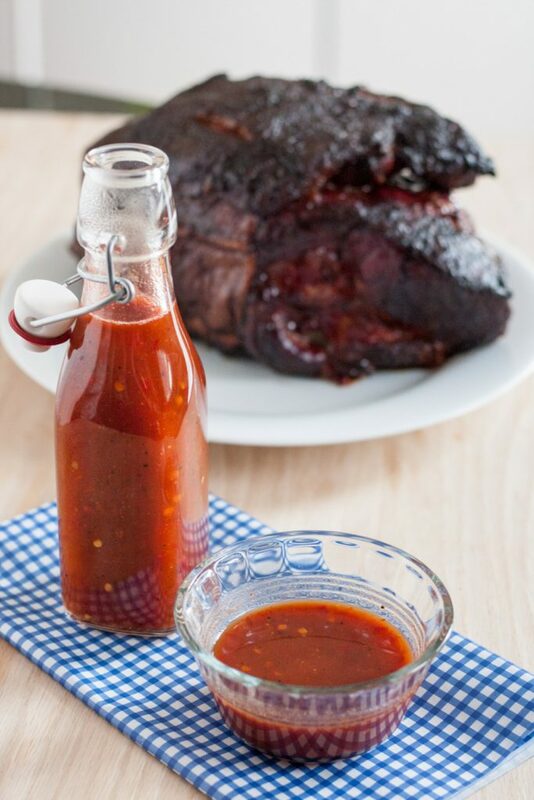 Apparently, ketchup is banned in South Carolina because it doesn’t exist in their barbecue. Regardless, all are very much tasty, and they all share a commonality that doesn’t exist in the other American barbecue destinations. 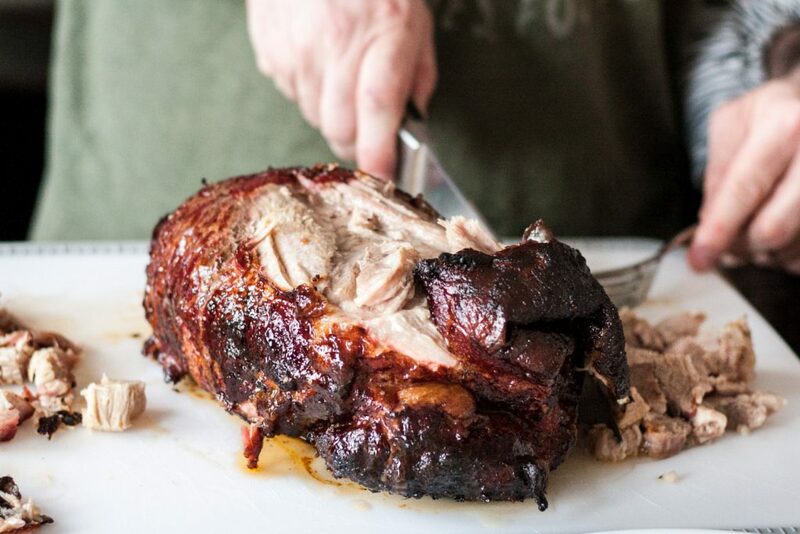 Whereas most regions focus on particular cut of meat when serving, like pork ribs (beef ribs if you’re in Texas) or beef brisket, Carolina Style serves up the whole hog. 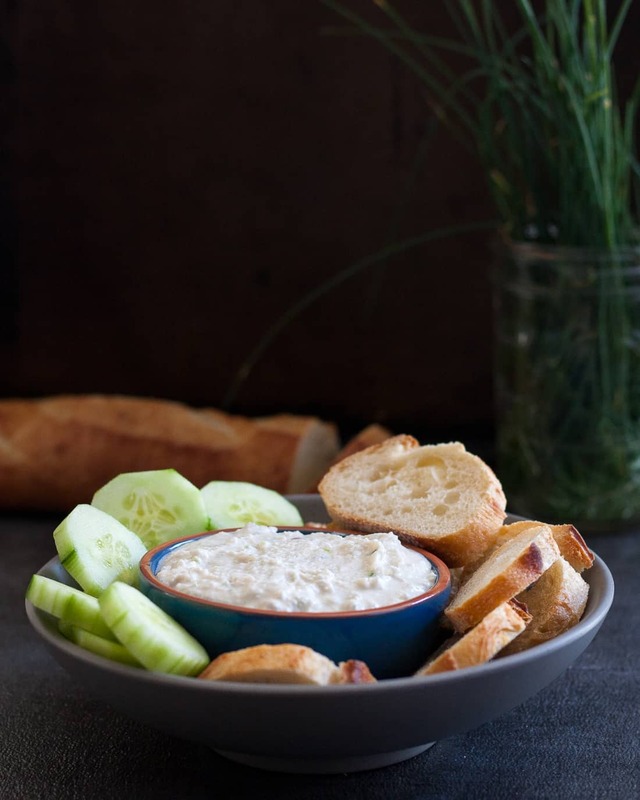 It’s a medley of textures, and it is definitely the sauce that brings it all together. Good luck getting everyone to agree which sauce is the best. ing some in Raleigh and then watching the “Cooked” documentary on Netflix. Unfortunately, my grill is not big enough to fit a whole pig, so I attempted to replicate this style with a pork shoulder. We very much enjoyed the end result, and hope you do too. 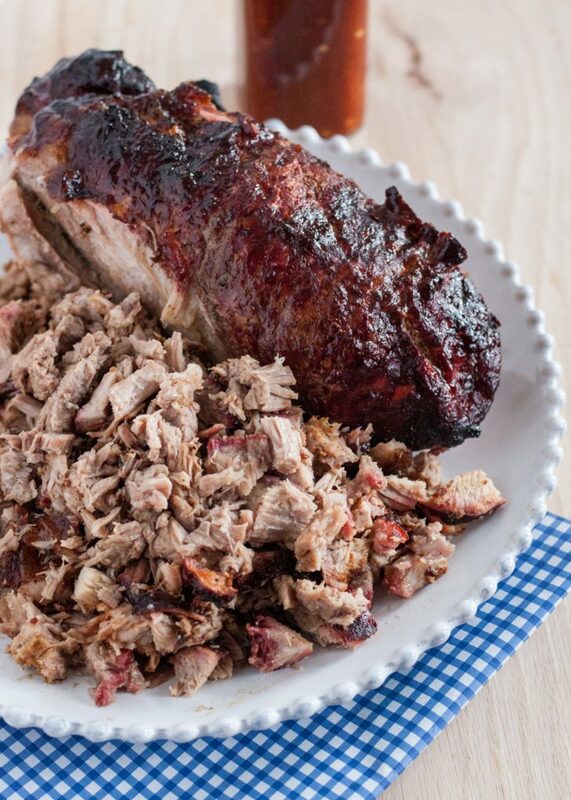 If you don’t have a full-size pit, you can still enjoy Eastern Carolina Style barbecue by trying this recipe using pork shoulder. In a bowl, mix all rub ingredients until uniform. 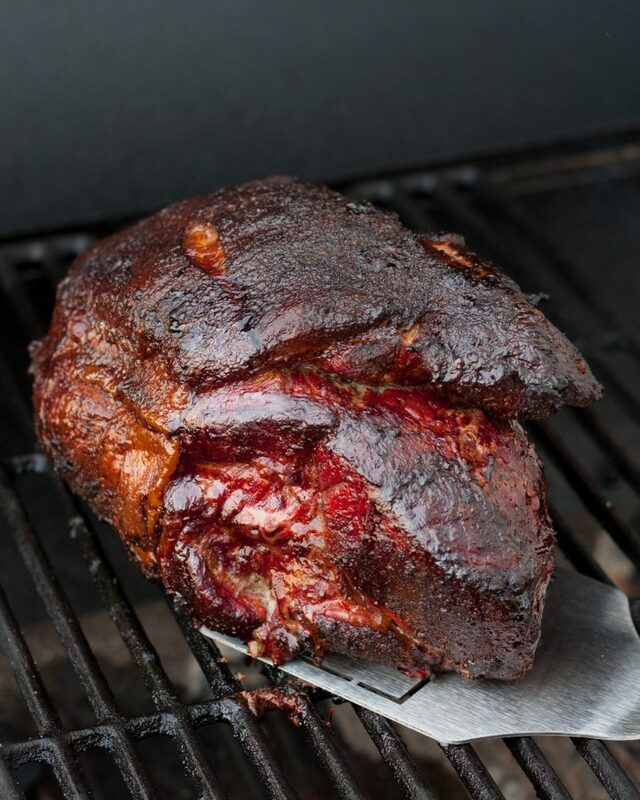 Apply the rub to all sides of the pork shoulder and let it rest while you prepare the sauce and grill. Place all sauce ingredients in a saucepan. Stir the mixture while bringing to a boil. Once it reaches boiling, remove from heat. Soak the wood chips in water. Prepare your grill by placing coals on opposite sides of the grill. Add the wood chips along the inner side of the coals on the grill. If you have a gas grill, only ignite the side burners, but place the wood chips in foil shaped like a paper boat. Keep the grill temperature to about 300 degrees Fahrenheit with the vents half-closed at the start. Place the pork shoulder over the center of the grill. Allow the grill temperature to decrease to 200 degrees Fahrenheit and let it smoke for 4 to 6 hours, or until the meat is fork-tender. 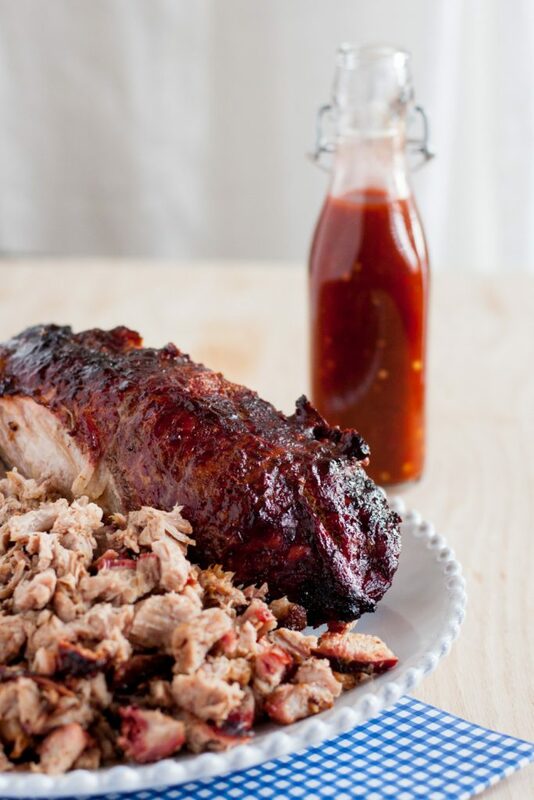 Carefully remove the pork shoulder from the grill, place it on a serving plate or aluminum tray, and cover with aluminum foil. Let the meat rest for at least 15 minutes. Remove the foil, and shred or chop the meat as desired. Serve the meat with sauce on the side or on the meat itself. Posts on Goodie Godmother may contain affiliate links, meaning that, should you click through and purchase, Goodie Godmother will receive a small commission. 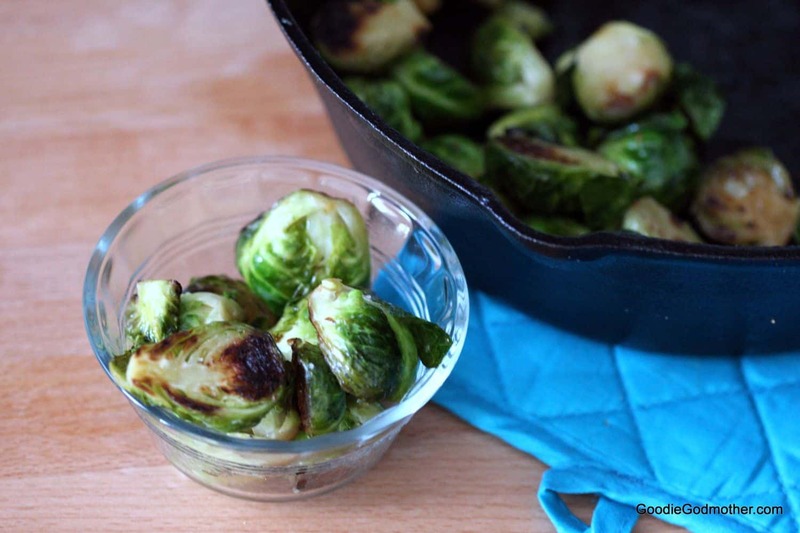 There is no cost to you, and any commission earned goes right to work helping me continue to bring you delicious recipes! That being said, I would never recommend a product I wouldn't or don't use myself and any opinions are 100% my own, always. It’s my current favorite Netflix documentary! I hope they make more in that style, definitely interesting to see how food and culture are so intertwined. 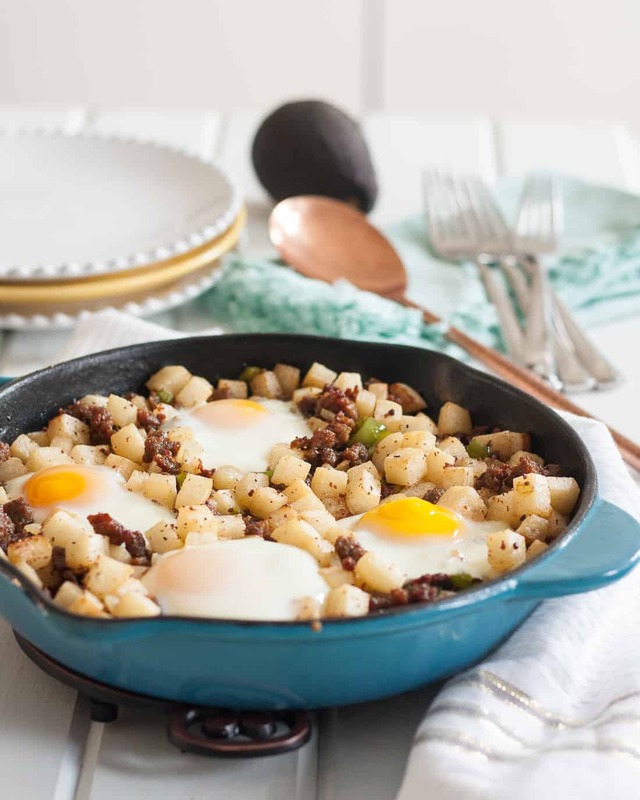 Sign me up for free weekly recipes!